I’m the first to admit that I’m not perfect. As much as I plan, organize, sort and laminate ;)… I still teach lessons that go sideways. But over the years I’ve learned that there are certain mistakes that I absolutely cannot make. At the end of every summer, just before my fall term starts, I remind myself of these mistakes so that troubles from the past do not repeat themselves. Today we’re sharing the 9 piano teaching mistakes that I won’t be making this fall. 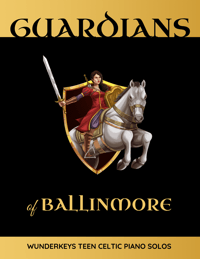 Learn from my blunders and start your year off with a heaping helping of success! Whoops… Don’t Do These 9 Things When Teaching Piano! 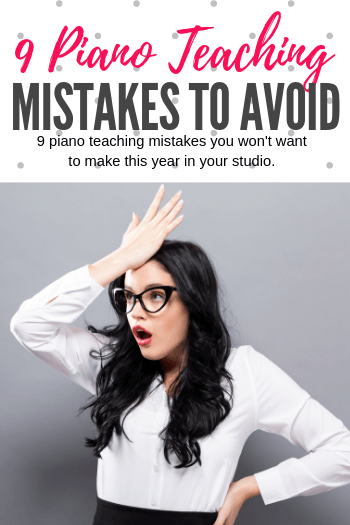 Here’s my list of the 9 mistakes piano teachers will want to avoid. After reading my list, we’d love to hear from you! 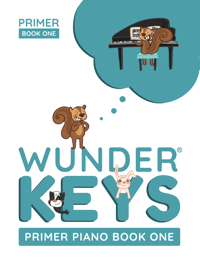 What is the one piano teaching mistake that you’ll never make again? Share in the comments at the end of this post. We’ve all had lessons where the child we were teaching had some sort of difficulty. Perhaps he was frustrated, upset or confused. Maybe he had had a bad day at school and it carried over into his lesson time. Maybe he was downright defiant and difficult. No matter what the cause, I never forget to send a kind and caring follow-up email to Mom and Dad immediately after I finish the teaching day. Following up shows you care about their child and that you’re in tune with his feelings. It also helps parents to understand the mood of their child as he left piano lessons and gives them the opportunity to be involved in preventing a recurrence of the problem. When teaching children it’s important to set attainable goals… frequently. When piano students reach these goals, it’s equally important to congratulate them in a meaningful way. 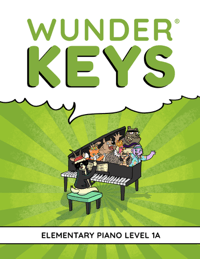 Forgetting to celebrate progress and inspire feelings of pride are missed opportunities to connect your students with the piano in a lasting way. Creating “sought-after honors” in your piano studio is a fabulous way of maintaining motivation and of congratulating students for a job well done. I kick myself every time I watch my senior students perform. What I wouldn’t give to have a video of their very first piano lessons to show to them and their parents! These days I videotape my students at their very first lessons and also at their first lessons of every year. This provides a great way of tracking progress over the course of a year or many years; something that is inspiring to both students and their parents. I used to wait to supplement method books until my students were in Book 1 or 2 of their method book series. I (incorrectly) assumed that my students were excited enough about the piano because it was new and novel. Now I know that the value in including supplementary repertoire from the very beginning isn’t simply about keeping my students motivated. Supplementing method books with additional repertoire (from Day 1) means that my students see varied repertoire right from the beginning, have the chance to hyper-focus on one aspect of technique, and learn that music can look and sound different than typical pattern-based method book music. As an added bonus, concepts that method books wait to introduce (such as 8va markings, pedal, etc.) are often found in supplementary repertoire, meaning my students learn to welcome challenges and “newness” with ease right from the get-go. 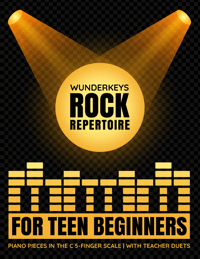 Looking for supplementary repertoire for every level in your studio? 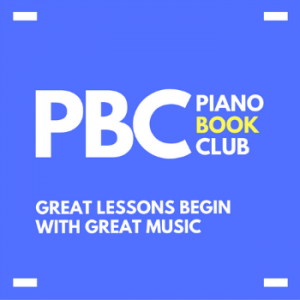 A membership to Teach Piano Today’s PianoBookClub means your studio receives brand new music every month, keeping your repertoire choices varied, interesting and fun! 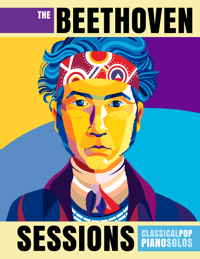 Find out how $8 can turn into a studio-licensed book of music here. I’m as professional as I can be when running my piano studio. However, learning to balance professionalism with a good dose of personality and approachability has been an important skill I’ve learned. Finding opportunities to connect with parents on a personal level has become an effective way to eliminate most of my “piano studio headaches”. Remembering birthdays, sending small notes of personal thanks, sharing a good laugh, and popping them a thoughtful and unexpected email with praise for their child are all ways that I now build relationships with my piano studio parents. When teaching a new concept I save a lot of lesson time and eliminate long-winded explanations by by using hands-on methods and materials. Kids are not generally programmed to learn new concepts by being “talked at”. By pulling out hands-on materials, learning becomes meaningful and (most importantly)… memorable. As a new piano teacher, I quickly learned that the best advertising was word-of-mouth… and that the ultimate word-of-mouth occurred within the families of the students I was already teaching. Siblings were often present in my studio waiting for their brothers or sisters. And while I tended to focus only on my student, I quickly learned that getting to know my students’ siblings was really important. Including siblings in lesson activities (where appropriate), greeting them by name, remembering things that were important to them, or offering them a sticker or a treat resulted in a very large percentage of those siblings then becoming my piano students. I was guilty of this for years… my teens rarely “acted out” and so I assumed that staying on the bench for a full 45 minutes was not a problem. Flash-forward several years and I’ve now learned my lesson. Teens are much more engaged in their lessons if you provide them with varying activities, just as you would with your young students. Plus, concepts are more easily retained when they are learned in an active or game-based setting. Avoid assuming your teens are “too cool” for games, manipulatives, white board time, and rhythm instruments. 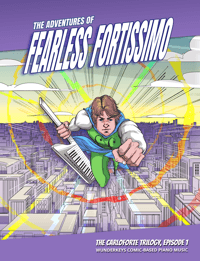 Looking for piano games that suit teens? 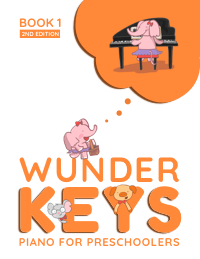 Teach Piano Today’s PianoGameClub game sets include games that appeal to a wide variety of age ranges… including teens! When I was a young teacher there were some parents that I spoke to once or twice a term. Their children were dropped off and picked up and they responded to emails… but they were not involved in the actual lesson experience in any way. After many years of shrugging my shoulders and assuming this was okay, I now know that it is my job to invite parents into lessons frequently and that this is imperative to the long-term happiness of my piano families. Inviting parents into the last 5 minutes of a lesson means that they have the opportunity to observe the fabulous materials and methods you use to create a thriving lesson environment. Including parents in simple duets or piano game play during these few minutes (instead of having them simply watch in a passive role) is a great way of inspiring “bonding on the bench”… which then often carries over into home practice. What Mistakes Do You Now Avoid Making? We’d love to hear from you! What mistakes have you learned from? Share your #1 “I’ll never forget to do this again” in the comments below.